As a two-year stretch of unprecedented success nears completion, the University of Memphis football program will all but certainly lose its two biggest stars. 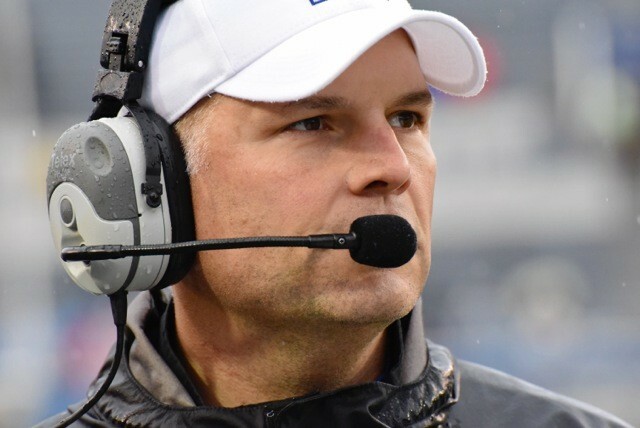 Head coach Justin Fuente is bound for Virginia Tech, the news finally made official Sunday afternoon. 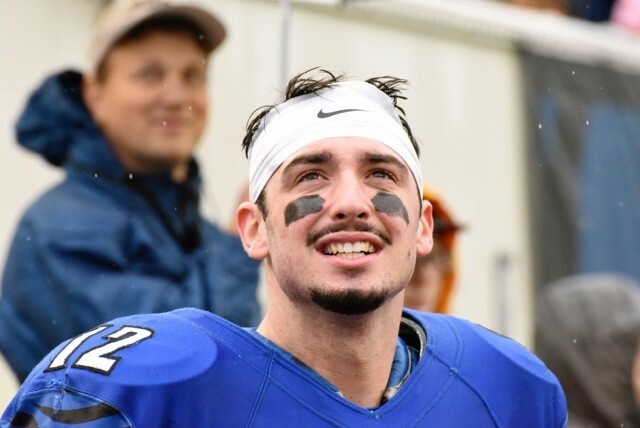 And record-smashing quarterback Paxton Lynch — he of the fictional-sounding seven touchdown passes in a single half last Saturday — will likely wear Memphis blue and gray for the last time in whatever bowl game the Tigers play. Lynch is projected as a first-round pick in the 2016 NFL draft. Each of these stars spent four years on the U of M campus (Lynch was redshirted as a freshman in 2012). Their's will be the faces most associated with the Tigers winning 19 games (at least) in two seasons, beating Ole Miss, and climbing to 15th in the AP poll. But their departures somehow feel different, largely for the ripple effects to come. Like any Memphis college athlete who turns pro, Lynch will be "ours" as long as he wears an NFL helmet. And beyond his playing days if he's successful. He'll introduce himself on Sunday Night Football as "Paxton Lynch, Memphis." Background stories written and told about him will have to include the 2014 Miami Beach Bowl, in which he passed for four touchdowns and ran for three more. And the 2015 season, when he tossed his 400th pass having thrown only three interceptions. The first Memphis quarterback to pass for 3,500 yards in a season, a record 28 (at least) touchdown passes, filling the Liberty Bowl press box with scouts (for bad NFL teams). If he passes on a fourth college season in uniform, Lynch won't break Danny Wimprine's career records. But he will dominate any (brief) debate over the greatest signal-caller in Memphis history. Tiger fans will miss him, but they'll relish the chance to see him take the field on fall Sundays. But Paxton Lynch would not have been ours had Justin Fuente not ridden into town after the 2011 season with a name no one knew how to pronounce or spell at the time. He brought bona fides as an offensive coordinator at TCU, but as The Man? In charge of a program that had lost 31 of its previous 36 games? Merely four seasons later, Fuente is the first coach to leave Memphis with a winning record in 41 years (look up Fred Pancoast). Each of his last two teams established scoring records, this year's bunch topping 500 points and 6,000 yards for the first time in school history. Fuente's departure feels more like a sad goodbye. 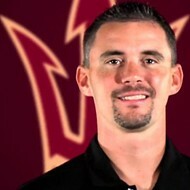 He needed a program to establish credentials as a head coach. The Tiger program needed a leader who didn't care about yesterday, last year, or the difference between Chuck Stobart and Rip Scherer. A leader who aspired to winning beyond "bowl eligibility." And that's the irony of Fuente, a man who made "1 and 0 this week" a mantra worthy of flags and t-shirts. Multiply all the "1 and 0" weeks and you have consecutive nine-win seasons for the first time in 65 years. Fuente, it turns out, saw the big picture better than any of his recent predecessors. He'll now take that vision to Virginia Tech where, competing in the ACC, he'll find more realistic odds for winning a national championship. Will Tiger fans root for the Hokies now, hoping to see "our guy" beat the likes of Alabama or Ohio State in early January? It's hard to tell. Unlike Lynch's, Fuente's college career isn't restricted to a certain number of eligible years. The Fuente-Memphis marriage, in a fantasy world, could have lasted 20 or 30 years, nine-win seasons becoming as customary as July thunderstorms in these parts. But there's a prettier dance partner to the east, one with assets the U of M cannot claim, nor likely will until it achieves "Power Five" status somehow, some way. But just like Lynch, Fuente is earning a promotion solely for his achievements as a Memphis Tiger. Last April, I asked Fuente about his name coming up in speculation for coaching vacancies (long before Virginia Tech's Frank Beamer announced his retirement). He said something very honest, and perceptive for a coach so young: "Anybody who can guarantee you anything in this business, in terms of longevity, is telling a fib." Fuente was hot then, and only got hotter this season. 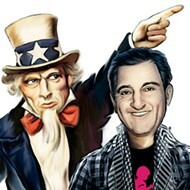 He's in a business where selling oneself comes down to two numbers: wins and losses. If Fuente returned for a fifth season in Memphis, maybe he'd go undefeated, Nick Saban would get tired of crimson, and the land's best job would fall into his lap. But that's unlikely. A very good job opened, with a higher ceiling for success, and in a place Fuente personally feels his family can be happy. The only loser here, sadly, is Memphis and the (steadily growing) Tiger fan base. The U of M will have a new coach soon enough. He'll have a tough act to follow, probably the toughest since Spook Murphy hung up his whistle (and was succeeded by Pancoast) 43 years ago. Can Memphis become a "destination job" as the expression goes? That depends entirely on the man who accepts the call. Can Memphis win a lot of football games and beat the big boys from the SEC now and then? Certainly. Justin Fuente showed us how. We'll miss you, Coach. And thanks.